Children progress at their own speed and it is common for a swimmer to remain in the same stage for up to a year of classes, even with perfect attendance. We stress each child’s self-esteem and confidence, improving skills, technique, and gaining strength. Each week we will incorporate character values such as caring, honesty, respect and responsibility. The YMCA’s progressive swim program begins with helping children learn to swim through developmentally appropriate activities in a safe, supportive environment. 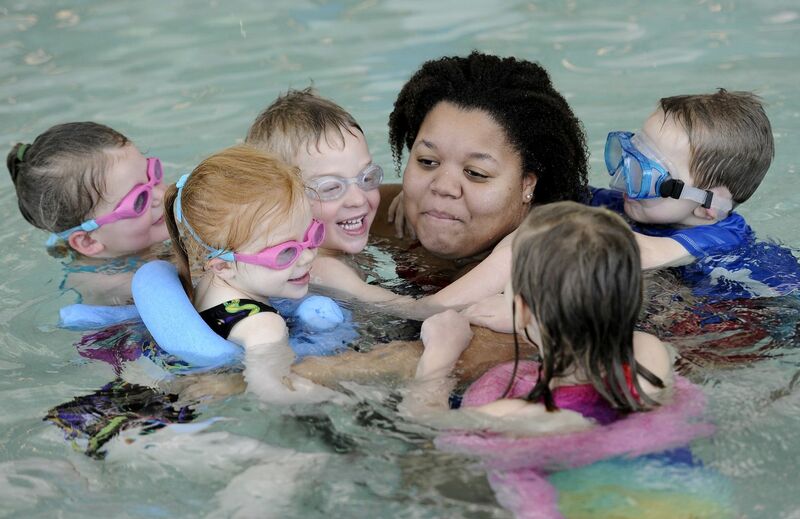 YMCA swim instructors are trained to teach children the fundamentals of swimming so that they will enjoy learning and take pride in developing their skills. Swimmers also learn about pool safety, boating safety and the use of personal flotation devices. In stage 2, students focus on body position and control, directional change, and forward movement in the water while also continuing to practice how to safely exit in the event of falling into a body of water. This class takes place in the Family Pool.